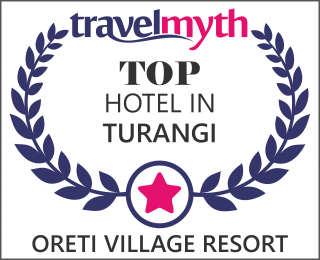 Oreti Village Resort has a unique location that is accessible to everything that the Central North Island has to offer – from the Whakapapa Ski Field at Mt Ruapehu to the Tongariro Alpine Crossing, to the Tongariro River for world-class trout fishing and white water rafting. We have a range of packages to help you make the most of your stay in Lake Taupo. Taupo and Turangi offer some of the best mountain biking tracks in the North Island. From sedate trails or the more adventurous, there is something for everyone. The Tongariro Alpine Crossing in Tongariro National Park is described as one of the best one-day hikes in New Zealand. Oreti Village Resort is within driving distance of some world-renowned golf courses. Let us organise a bespoke golfing experience you won’t forget! Raft through some of New Zealand’s hidden sceneries in this must-do NZ experience. The legendary Tongariro River offers Aotearoa’s best rafting adventure. Lake Taupo is the trout fishing capital of the world and New Zealand’s premier fishing destination. You can experience great fishing in all seasons in this angler’s paradise.